thanks for the reply why wouldnt you use the ebc pads? Id recommend the Ferodo DS2500 pads. I went for Mintex on the bug and would defo recommend. thanks again for the replies the ds pads seem most popular am i making the right choice with the ebc disks or should i be thinking of tarox/black diamond or similar? IMHO I would say tarox/black diamond all the way. I have had EBC turbo grooved & dimpled discs on my car for just over a year, with yellowstuff pads on the front. I've always felt the yellowstuff pads are poor, the discs seemed good but have now warped after just 1 year. 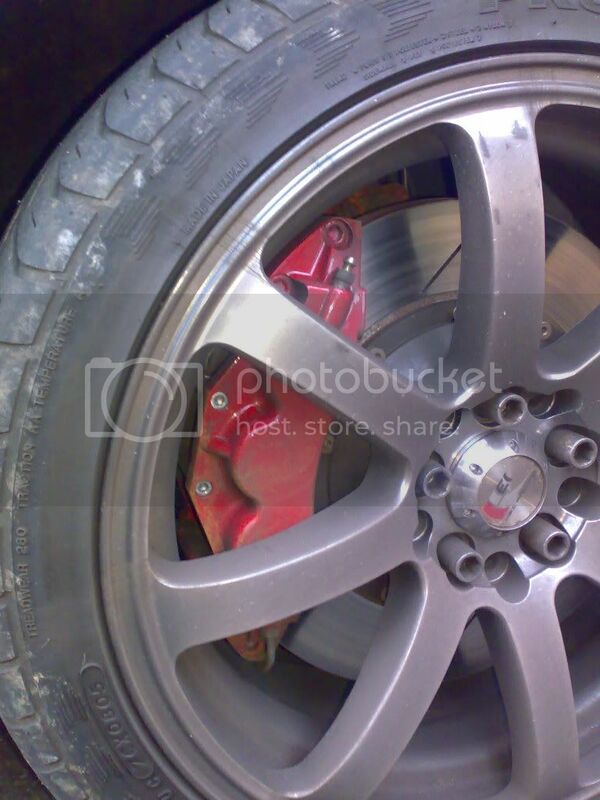 I've now ordered up the ferodo pads mentioned above, and a set of front discs (drilled and grooved) from godpseed brakes. godspeed brakes come highly recommended. the ebc brakes were about £280/pair for front. godspeed were £190 including postage. for 325mm discs for sti I think thats pretty good. £80 for a back box you need a different insurance company dude. going to speak to scooby world tomorow they do 2 6 pot kits tarox and ap damed expensive but i want the best possible runing gear before i upgrade the engine.